Now that your website has been completed, it is time to move on to learning how to maintain it a bit. At the very least, keep your content current with updates to your blog. 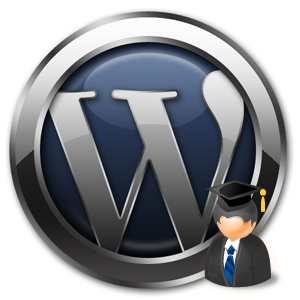 This document provides a quick and basic summary of training steps on WordPress. Whether you’re skilled at using computer systems or completely new to the process, these steps should help you improve your site and keep traffic with new content. To begin, log into your blog with your login information provided to you at the completion of your website. Simply add in a title of the post in the open title section above the editor tools. Actual content for your post is inserted under the standard formatting tools. Just start typing away an using your bold, linking, size and other formatting tools to create your post. Remember that a post is separate form a page. See below for creating a new page that will add to your nav (if there’s room). These are images that will be used for all components of your blog. From the left nav of your blog dashboard, select “Media > Add New > Browser Uploader > Browse > (Select file to upload) > Upload” OR, just click on the top “add image” option from inside your blog post per our training. Insert your cursor where you would like your image to go. Select the “Add an image” box looking icon that says “Upload/Insert” on the hover > Browser Uploader > Browse > select file > Upload. Once the image is uploaded, you can adjust the Title, Caption, Description, Link URL, Alignment and Size as necessary. When ready click “Insert into Post”. Highlight the text you want to link. Click on the “link” icon at the top. Paste in the link location you want it to go to. Select “Open in a new window” if the user is leaving your site. In the upper left-hand corner, hover over “My Account” and choose “Edit Profile”. Please feel free to click around in “My Account” and review available ease of use options such as “Blog Surfer”, “Tag Surfer” and “My Comments”. It is here that you can update your profile biography, change your passwords, etc. Please note that this does not update your actual blog, just your profile information. We encourage you to check the Support section for any issue you may encounter. If you are still unable to resolve any issues, Cal Coast will be glad to assist you at our hourly rate agreed upon in your contract. We also encourage you to login and click on “Stats” to review your blog statistics. Here are some additional steps to operating your new blog content. The Pages portion of your blog is the same as a post except it allows you to name each post appropriately, creating navigation for your blog. From here you can add new pages, edit and adjust your page names, the content within them and whether or not you wish to allow comments and pings. Please note that you can also choose to make a page a subcategory link on a main page by simply selecting a page from the drop down “Parent” box under the “Attributes” section to the right of your screen and selecting the sort order you would like the link to go in. Under the Comments portion, you will be able to moderate your comments which have been left by your people reading your blog. You can also filter what types of comments you want to view (Ping or Comments). Please take a moment to head over to the Comments section and delete the comment left by WordPress. This, as well as deleting future comments can be done by doing the following. In the Users section, you will be able to invite other users to come contribute, edit or act as an administrator on your blog. To invite another user and make them a part of your blog, do the following. Users > Authors & Users > fill in the email address of the user you wish to invite > choose the Role > Add User. There are literally hundreds of other features in your blog. Don’t let this be the end of your WordPress education. Get in there are start trying. And when you get stuck, call us or use one of the million resources on the web. That’s right, when in doubt, just GOOGLE it! We also like to use Youtube & WordPress Support & Knowledgbase for more info as well. We know this can be overwhelming to take it all in, so if you would like to set up a time to come down and do some training, or discuss signing up for a maintenance package, please contact us!